There&apos;s a state-wide alert for two people who tried to run over a State Trooper. Motorcycle Trooper Vincent Caruso made a routine traffic stop late last night on Interstate 90/94 near New Lisbon in Juneau County. Sgt. 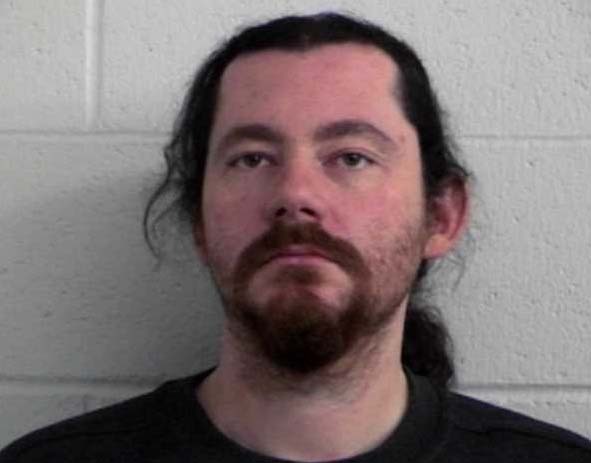 Bruce Holsclaw at the Tomah State Patrol office says Caruso discovered the man and woman in the car, 37 year-old Floyd A. Reynolds age of New Lisbon and Anastasia J. Jakubow, both had outstanding warrants. He was waiting for a squad car to pick them up. And that&apos;s when the car started backing up quickly, pushing the bike ten to fifteen feet and throwing the trooper into a ditch. Other than cuts and bruises, he&apos;s doing fine. The vehicle took off headed west. Now the Patrol is asking for your help. If you see green 1996 Chevrolet Cavalier, four door with Wisconsin plates call your local police, sheriff&apos;s office or state patrol.